One of the questions we often get asked when people place orders is what deals and specials we have available. I have to confess that we don’t, as a general rule, do a lot of time sensitive specials. We tried monthly specials for a while, but they didn’t seem to make that much difference in how people bought. In our minds, it seemed more reasonable to offer quantity breaks and package pricing that was offered all the time, not for a specific period. That way our customers can benefit from reduced pricing at any time. If you’re interested in purchasing a sublimation printer package, we have a couple of economical and useful packages available. The QuickStartR package features the Ricoh GX e3300N printer. This package includes the printer, one complete set of SubliJet ink, one pack of 8.5 x 11 Mpres paper, and one USB cable. If you are interested in printing 13 x 19 prints out of the box, you may want to check out our Epson Workforce WF 1100 Sublimation package. This package includes an Epson WF 1100 printer, 1 kit of the Sublijet ink, 1 Quick Connect Bulk System, 1 pack of Mpres 8.5 x 11 paper, 1 pack Mpres 13 x 19 paper, and 1 USB Cable. For those who would prefer to create their own package, we offer the “Your Way” Discount. To receive the discount, you must purchase something from four of the five sublimation categories listed on our site. If you meet the criteria, we will manually apply a 5% discount to the entire cost of your order. If you spend over $2000, the discount increases to 10%. The “Your Way” discount offers you the flexibility to create the package you need, and the savings to make putting a package together yourself worthwhile. As always, if you need assistance in creating your package, just contact us. We’ll be happy to help. Finally, I can’t forget to mention the quantity discounts that are offered on our products like sublimation blanks and sublimation paper. 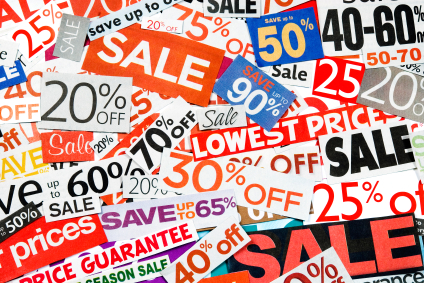 These discounts are designed on the principle “the more you buy, the more you save”. Quantity breaks generally exist at case quantity breaks. To see the quantity breaks for a particular product, simply click the quantity break link included in the product description. Products without the quantity break link do not currently have quantity breaks available.